DonorLogix was founded in 2008 by Heath Wilson and Mark Sanger. The founders’ goal was to help hospitals with blood donor programs save lives and save money. Since 2008, DonorLogix has fostered a new breed of business: the for-profit non-profit. Although DonorLogix operates like a for-profit company, the decisions that dictate our company’s path are based on helping those who need help. Our for-profit status gives us additional flexibility in serving our Clients & it helps us enable our Clients to be competitive in their respective market. A man who grew up in the hometown of Heath’s family was diagnosed with leukemia. He was a beloved member of the community, as well as a veteran rodeo clown (a big deal in Texas). The local high school organized a replacement drive for him… and Heath and Mark decided to help make it more successful. 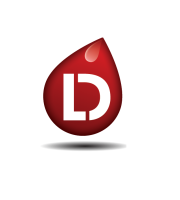 DonorLogix’s co-founders donated their time and company resources to help recruit blood donors; the drive was the most productive in school history.